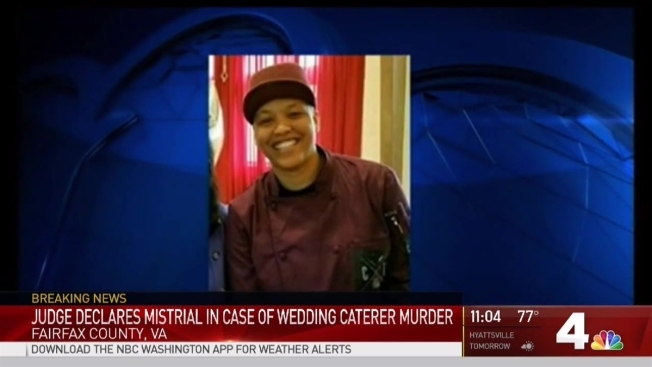 The Virginia student who killed a wedding caterer last summer has been found not guilty after he was retried. He said he was defending himself. Kempton Bonds, 20, was cleared on Wednesday in the death of Tyonne Johns, who was 35 when Bonds fatally stabbed her in August 2016 after a wedding. This August, a judge declared a mistrial in Bonds' first case. “We are thrilled to have been able to help Kempton and his family get through this ordeal. This was the right result on the facts, and hopefully time will allow healing for all concerned. Kempton is a terrific young man, and I know we will be hearing great things about him in the future," he said in a statement. News4's David Culver reports live from outside the courthouse where jurors are deliberating on the fate of Kempton Bonds, the young man who faces murder charges for stabbing wedding caterer Tyonne Johns. Bonds' lawyer successfully argued that Bonds stabbed Johns after she threatened him and then gripped him by the throat. Wedding guests said he was the aggressor. Johns died after Bonds, a seasonal employee for the Fairfax County Park Authority, stabbed her after a wedding Aug. 6, 2016 in Ellanor C. Lawrence Park in Chantilly, police said. The two argued as Bonds told Johns that the chairs she was packing into her company's truck belonged to the park authority, not her company, according to police. In closing arguments in the first case, prosecutors argued Bonds was the aggressor. "It's a 3-inch blade. He stuck it into her ... and that knife pierced her heart. He was going for death," a lawyer said. Bonds' attorney argued that his client, then 19, was only defending himself. “I’m glad for Kempton Bonds that he had that knife, because I’m afraid of what would’ve happened to him had he not," the lawyer said. A 19-year-old accused of killing a wedding caterer after a wedding reception in Virginia last summer says he stabbed the woman as she gripped him by the throat. News4's David Culver reports. 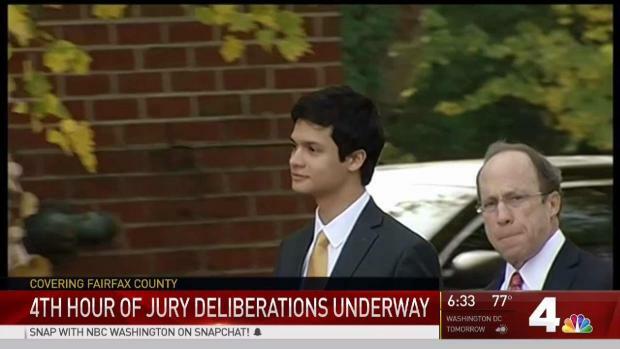 Jurors had video Bonds shot on his own cellphone. He said during about four hours of testimony earlier this month that Johns backed him into a railing and grabbed his neck. He said that inside his pocket he opened a pocketknife he had. "I opened the knife when I realized I wasn't breathing," he said. "I was trying to yell, but I couldn't get much out." Bonds recorded the tense moments using his cellphone. "Little boy! Little boy!" a woman can be heard yelling. Then, a struggle can be heard and a woman cries out. "Oh. You stabbed me?" she says. Bonds then can be heard shouting "Police!" again and again. Johns was taken to a hospital, where she was pronounced dead. Bonds remained at the crime scene and was taken into police custody. Johns was a talented chef with many friends, her loved ones said. She "loved to love, loved to cook. People, in general, just flocked to her," one friend previously told News4. Bonds called police earlier in the night and said he was threatened at the wedding. He angered wedding guests by picking rose petals off the floor because they were not allowed, and cutting power to the music before the 9 p.m. deadline, The Washington Post reported. Then, the fatal encounter occurred. Bonds said he called 911 as soon as he could. "I also have another call in saying that there's been a stabbing there. Is that correct?" the dispatcher says on the recording of the call. "Yes. They attacked me. I defended myself," Bonds responds. "Did somebody stab you?" she asks. "You stabbed somebody?" the dispatcher asks. "She had her hands around my throat," the 19-year-old replied. Several people who heard Bonds' testimony earlier this year were emotional. Some had to leave the room. They described Johns as the victim, not the aggressor.